Continue reading"Fifty Former Mary Kay Go-Give Recipients (and 78% of them aren’t Go-Giving enough!)" Continue reading"Another Reason to be a Star Consultant: Your Director’s Paycheck"
Continue reading"False Income Claims from Mary Kay Sales Director Roya Mattis"
Continue reading"“Direct Selling” in a Recession: Pink Truth Has a Voice!" Kaybots Offer Pink Truth a Big Thank You! Continue reading"Kaybots Offer Pink Truth a Big Thank You!" 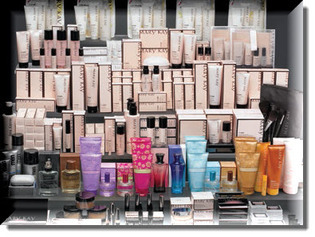 Continue reading"Tough Financial Times Mean More Opportunities to Exploit via Mary Kay!"